Learning SEO can be an intimidating process. There’s an incredible amount of information online and even more conflicting opinions from so-called “experts.” You could spend months trying to sort everything out. Or you could invest 15 minutes reading this guide and come away with a solid foundation of how SEO really works. I’ve focused on highlighting the core need-to-know concepts to give you a working knowledge of SEO as quickly as possible. If you read and absorb everything is this eCommerce SEO guide, you’ll have a better understanding of search than 90% of store owners. In my book, that qualifies you as a bonafide search optimization ninja. Enough talk! Let’s start by talking about the currency of SEO: links. The number of links to a specific page has an enormous amount of influence on how well a specific page will rank. Just as important as page-specific links, at least according to SEOMoz, are the number of links pointing to the page’s domain. So, in the case of ranking this post, Google would largely weigh how many links are pointing to all the pages on eCommerceFuel.com. The more incoming links to the domain, the higher likelihood that the domain is a trusted, authoritative source and will be ranked highly in Google. This is why a breaking article on The New York Times is immediately promoted to a top position in Google for a term, while an established page with more back links languishes in the listings. The anchor text of a link — the clickable underlined words, like these — have a huge impact on what search terms your page and domain will rank for. If a significant portion of the links to your site includes the phrase “coffee mugs,” you’ll rank much better for “coffee mugs” in the listings. The more authoritative a page, the more an outbound link will help the recipient rank well in Google. The most well-known metric of a page’s authority is PageRank. PageRank is a proprietary measurement by Google that indicates how highly Google regards a page. It’s a scale from 0 to 10, with authority increasing as the numbers grow. It’s also a logarithmic scale, meaning a PageRank 4 isn’t twice as good as a PageRank 2 — it’s likely 5, 10 or 50 times greater. Nobody is sure exactly how exponential the scale is, or what the base is, but it’s definitely not linear. As with most of Google’s inner workings, the exact formula for measuring PageRank is unknown. But generally speaking, PageRank measures how many other pages link to a given page, taking into account the authority of those linking source pages. You can measure a page’s PageRank with common browser plugins, including these for Chrome and Firefox. Google also looks to the quality of a domain when deciding how much weight to give outbound links. Even if a specific New York Times page has no PageRank, you’d receive a lot of credit if the Times linked to your domain because it’s such a trusted website. Google doesn’t have a specific metric for measuring domain authority, but you can estimate it by checking the PageRank of a website’s homepage. Also, the team over at SEOMoz has developed their own metric, Domain Authority, which can be seen when using their free SEO toolbar or when entering sites into Open Site Explorer. PageRank is transferable and can be passed to other pages via links. If a page links to only one site, the linked-to page will receive all of the available PageRank “link juice” the original page had to give. But if a page links to 50 different domains, this “link juice” is divided among all 50 links on the page. So all things equal, you’d rather receive a link from a page with fewer outbound links, as more “link juice” would be passed to your site. Link prominence also plays a part in how much “juice” a link will pass to the target site. The higher up on the page a link appears, the more heavily Google will weight that link. The first link you receive from a new domain will always be the most powerful. Subsequent links from the same domain will always be worth less. Why? Google looks at the link as a recommendation or a vote of confidence from a unique source, so repeated recommendations (additional links) won’t count as much. The “unique linking domains” metric is one that’s commonly used in SEO. This metric reports only on the number of unique domains linking to a site while disregarding multiple links from a domain. Though it doesn’t weigh page authority, it will give you a sense of how widespread and popular a site is, and how many unique sources have “vouched” for it. You can use Open Site Explorer to measure unique linking domains, as seen below. People will often invest heavily in getting perfectly optimized inbound links and then completely disregard links on their own site, which they can control! Internal linking (the way you link to your own pages from within your site) can be very powerful. Make sure to link liberally to internal pages using keywords you want to rank for, and think about how you structure the navigational links on your site. A “deep link” is any link to a domain that is NOT pointed at the homepage. The number of deep links compared to overall links can give you an idea of how much useful content a site contains and indicates a broad interest in the content offered by the domain. The deep-linking ratio isn’t an SEO metric that’s commonly discussed, but I think it’s pretty safe to say that deep linking is a highly effective SEO technique. For starters, it’s a signal to Google that you have valuable content that people are individually linking to. Additionally, deep pages are more likely to be optimized for longer-tail, more specific keywords, which are easier to rank. By pursuing a deep-linking strategy (instead of linking exclusively to your homepage), you’ll be able rank more quickly for these long-tail keywords while raising the authority of your overall site. What exactly is “over-optimization”? It’s when your backlink profile contains an unusually high concentration of the same number of keywords. This almost always happens because someone is trying to rank highly for a specific keyword. Spot the pattern? Google can, too. And recently Google has gotten much more aggressive about penalizing pages and domains with over-optimized linking profiles. So when doing SEO, you want to make sure you’re managing your anchor text reputation with a handful of carefully optimized, keyword-rich links. But you always want to make sure you have lots of naturally occurring links as well. Usually, a link indicates a vote or recommendation for one site from another. But in situations where user-generated content is being created, a site owner may not want to “vouch for” (i.e., giving a link to) every site that their users happen to post. At the same time, preventing people from posting links (in forums and blog comments, for example) can be a detriment to the usefulness and convenience of a community. To address this problem, Google introduced the “nofollow” link back in 2005. Nofollow links look exactly like regular links, but they don’t pass any PageRank (or authority) to the site being linked to. It’s a way for site owners to provide the convenience of a link for usability purposes without have to provide an endorsement of it OR pass any SEO benefits to the site. For SEO purposes, a nofollow link is the same as no link at all. Although Google introduced the nofollow link, it’s treated the same way by Yahoo! and Bing. When evaluating SEO opportunities, it’s a good idea to make sure the links you’ll be acquiring are regular, followed links. If they’re nofollowed links, you may receive some click-through traffic, but you won’t receive any SEO benefit in the eyes of Google or other search engines. On-page factors have become less important over time as the search engines have developed. In the early days, you could simply include a keyword 200 times on your web page (called keyword stuffing) and rank at the top of the search engines! Fortunately, those days are long gone. And while on-page factors aren’t weighted quite as heavily as they used to be, they’re still important. If you’re using an eCommerce shopping cart, all the metrics below can be set on a per-page basis using your cart’s content management interface. The meta title, used to describe what the page is about, is the most influential on-page element. Google places a strong emphasis on the meta title when determining what terms a page ranks for. The meta title appears in two places: at the top of most browser windows, and as the primary title in Google’s search results. You should have the keyword(s) you want to rank for in the meta title of your page. Also, the more prominent a keyword is in your title — the closer it is to the front — the better chance you’ll have of ranking for that keyword. Page headings, denoted by h1 and h2 HTML tags, also influence a page’s ranking. All things equal, the more you use a keyword in a page heading, the higher likelihood you’ll rank for it. A typical page heading, usually defined by a HTML H1, H2 or H3 tag. The meta description is a snippet of text you provide to search engines as a recommendation for what to display below the page title in the search results. The meta description has no impact on page ranking, but is a VERY important tool in increasing the click-through rate in the Google search listings. Think of the meta description as advertisement copy. The more compelling it is, the more likely someone scanning through the listings will click on your site. Years ago, people were obsessed about “keyword density,” the percentage of overall text that included the keyword. If having a high keyword density in copy once helped with SEO rankings, it certainly doesn’t anymore. So what should you do? Write your copy naturally. Instead of trying to write SEO-optimized copy that comes off sounding stiff and robotic, write for your audience! If you’ve done a good job optimizing your title and headers — and have a few inbound links pointed to the page — that should be enough to help boost your rankings. I’ll make sure that my keyword is included once or twice in the on-page copy and call it good. Spending more time trying to “optimize” your on-page copy will likely be a waste of time and may hurt the readability for your visitors. This meta title still manages to get the primary keyword in near the front, but offers a much more compelling description and reason to visit. Including your target keywords prominently in your title is important, but perhaps even more important is crafting a title that’s compelling enough to catch the user’s interest. A top ranking in Google doesn’t do you much good if no one clicks on it, so make sure you’re writing compelling titles and meta descriptions. Striking a balance between effective copy and effective SEO keyword integration is important. About two years ago, Google confirmed that it used social media signals in its ranking algorithm, especially for time-sensitive and real-time results. Since then, there’s strong consensus in the SEO community that social factors are becoming increasingly important. So the more Likes, Tweets and +1’s you have, the higher likelihood you’ll rank well in Google and other search engines. While social signals are still weighed relatively lightly compared to links and traditional on-page metrics, their influence will likely increase with time. That said, if you’ve found this guide useful, please support me by sharing it on Facebook or Twitter via the bar on the left. As you now know, you’ll be helping this page rank well in the search engines and I would REALLY appreciate your support! The following are additional factors that are known — or highly suspected — to influence SEO rankings. Don’t you hate it when a site takes forever to load? Google does, too, and it has made it known that page load time is now a factor in its ranking algorithm. Page speed doesn’t seem to be factor that heavily weighs into rankings, but it’s wise to keep your pages loading fast both for SEO and customer usability. To help site owners identify issues slowing down their pages, Google has created PageSpeed Tools, which analyzes a page and offers suggestions on how to improve load times. It’s suspected that metrics like the click-through-rate (CTR), bounce rate and time on page may be used to influence your rankings. As the hypothesis goes, the more people who click through to your site from the search results page, and the longer they stay, the better the chances you’re offering quality content. I’ve yet to see this officially confirmed or denied by Google. Writing compelling page titles and meta descriptions should help you increase your click-through rates, and offering top-notch content should keep your visitors engaged. Even if it doesn’t technically help your SEO rankings, these are still great practices for effective marketing. The number of ads you’re displaying on your site could negatively affect the rankings, especially if you’re using Google AdSense. But if you’re running an eCommerce site, this shouldn’t be an issue, as you should NEVER run third-party ads on your website! You’ll hurt your store’s credibility and lose visitors to other sites. If you need to run ads on your eCommerce site to make money, you’ve got a major problem with your business model, niche or marketing. There’s a lot of speculation that domain age (the date the domain was first noticed by Google) plays a role in rankings, with older domains receiving a significant “authority” boost. However, Matt Cuts, a well-known spokesman for Google, stated that it may take a month or two for a new domain to appear in Googles results, but downplayed the importance of having an established domain name overall. So while there’s some debate on the issue, I wouldn’t recommend dropping $10,000 for a domain registered in the 90s in the hopes of scoring a domain-wide rankings boost. Are You a Talented SEO? Looking to Hire One? If so, check out the current open SEO jobs or post your SEO job listing on the eCommerceFuel job board. It’s the ideal place for talented managers and marketers to connect with interesting eCommerce stores and opportunities. If you can remember all this, you should have a solid understanding of what impacts Google’s rankings and how to best approach your SEO efforts. There are also of plenty of great conferences that can help take your knowledge to the next level. 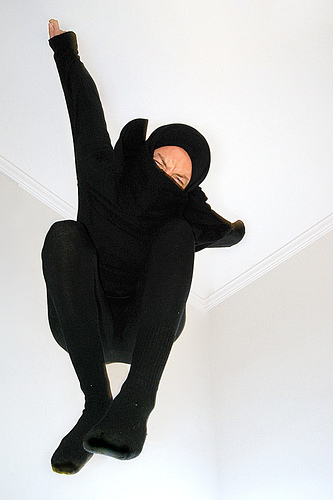 In my next post on SEO, I’ll be talking about how to take your new-found ninja knowledge and apply it to marketing and link building. Have questions about the content I covered or think I’m off base on an issue? Let me know in the comment section below! I love hearing from you and will do my best to reply. W00t! I’m now an eCommerce Fuel rock star! Ahhh yeah! You can just sit back, relax, and watch that organic traffic start to roll in. At least, I think that’s how it works…. I was going through your Profitable eCommerce book and just finished reading the SEOmoz Beginners Guide that you sent us to read up on, and now you created a summary for me. A good guide which covers a lot of the major elements. The main part about link building: time and then linking SEO ranking to conversion. When I worked for a major retailer, we tracked the path from Natural SEO all the way to sales -down to value from the keyword – which was great for the whole marekting plan. not my site, but shows what your Title tags etc looks like in Google results- very helpful for optimizing getting clicks…. Thanks for the comment, Paul! Have thought of putting out a SEO guide, and AM working to systemize something for my team so that SEO can be more of a process-driven approach that can be passed off to others. I have a hard time handing it off now, but that’s because I don’t have good systems in place. YET. Working on that now. Thank you, Andrew for this SEO summary:). I didn’t understand what keywords density you suggest? You wrote once or twice you are using it in the article. But if I have articles of 700 words and more, what k.d. I need? Somebody told me to use 1% to 3%. Is it right? I think you misunderstood me, Dima. While keyword density may have been important years ago, it’s not a key relevant factor anymore. As long as I have my keyword in the title, heading and at least a few times in the copy that’s all I worry about. The bottom line? Don’t worry about keyword density and write naturally. Hope this helps! Hi Andrew, great informative article. In my last drop ship business I used several micro sites to link back to my main site for some specific keywords. eg; If my site sold furniture I’d had several micro sites called ‘kidstables.com’ and ‘officechair.com’ pointing back to my main site with links that mirrored the micro site domain. Do you think this is a good strategy to use (especially after the latest Google update). I’m thinking of launching a new drop ship business before the end of the year. Not sure if I should though as there are lots of great reasons to but also lots of caveats (consumer regulation etc). Any advice? I would shy away from that strategy especially, like you said, in a post-Penguin world. Also, you’ll be diluting your efforts into a number of different sub-domains which is more difficult that building up one really strong, well trusted website. To your second question, I definitely think drop shipping is a great model if you pick a quality niche, add value and are committed to marketing and long-term investment. Best of luck! Hey, I discovered your site the other day through your post on HN. You’ve got a wealth of information and I look forward to reading more. On a side note, I couldn’t help but notice that your social media bar ( the dd_ajax_float div, is positioned to far left, I can only see half of it. On your inline styling you have left: -95px. I changed this to -60px and that seemed to be the sweet spot to me… elsewhere in one of the stylesheets that also covers the styling of the dd_ajax_float div (where the inline-styling should probably be anyways), I would change the background to background: rgba(255,255,255,.3); or something similar… so the content isn’t covered up…. actually to tell you the truth, I think the social sharing widgets should be positioned elsewhere entirely and not it a “floating” div…. just my opinion though. It just seems out of sorts with the rest of the site’s style. Anyways, if I didn’t say it earlier… Keep up the great work! Oh, and thanks! Great to have you as a reader, and thanks again for the tips. Google can be such a finicky pain in the rear, as you well know from a recent update you mentioned. One of the big problems is that the rules constantly change and what is great SEO today can cause you to get Google-slapped tomorrow. I understand it on one level because there’s always those who will try to cheat the system, and Google works hard to catch and penalize them. But I think they’ve gone too far when legitimate sites are getting crushed because of a rules change. I can’t tell you the number of bloggers I’ve seen complaining about the Penguin update and how it killed their traffic and business literally overnight. You’ve pretty much nailed it on the head here, though. All you can do is work on the things you can control, like where and how you build your links, optimizing your on-page SEO, and providing content and products that people want. The rest you have to just let ride because you can’t control it anyways and you can drive yourself nuts worrying about it. Thanks for sharing. I plan to be around quite a bit more now that I’ve got my site up and running. You provide some extremely valuable insights into the ecommerce arena, and any time spent here is time well spent! Google updates can be frustrating, for sure, but if you stick to a philosophy of generating awesome content, building real relationships and not trying to “buy” / rush your way to SEO success I think you’ll be very safe from future updates designed to penalized spammy or over-optimized sites. It’s pretty rare that I hear of people who played by the rules – or earned a great natural link profile – that are penalized by a Google update. Possible, but rare. Thanks for reading and glad you’re getting some value out of the blog! Great tips and advice, It’s also very intriguing to see if the other factors that might affect rankings, these for me are incredibly important not just for SEO but the users as well, so I would imagine Google weighing something on these as factors as the post was written last year, some of these have now started to make sense. Just tweeted it, great info mate. Thanks Danny! I think factors like Google Authorship, social shares cross-device optimization and site speed will increasingly play a ranking role in the future. But we’ll see. Prior to this article I didn’t even know there was was a difference between inbound and outbound links! Great post, it’s really helped me understand link building. I have one question though, how do you create inbound links … is it through blog commenting and articles? Where do you even submit these articles? I am new to the concept of SEO so the answer is probably really obvious. Do you have any suggestions or guides that have information on how to build inbound links? Hi andrew,good article indeed.But i think you missed to mention some crucial seo factors for an ecommerce site such as duplicate content issues,use of canonical tags,site structure etc. Thank you for the great article! Do you suppose that Penguin’s new way of looking at links was a reaction by Google to tools such as SENuke XCR? Not sure, Brent. I’m not familiar with those tools. Sorry! Very good article. I think you covered all of the basics that the majority of people can understand and control (i.e. most shopping cart platforms give you little opportunity to do much about canonical references and other more technical things like schema markup). Everything you mentioned is something that can be controlled, regardless of the platform they are using. I have heard it said that you do still need a fair amount of no-follow links, simply because a website with nothing but followed links looks unnatural. The primary consideration in my mind is traffic. Chances are, if it is not a link that will drive any traffic to your website, it is not a relevant link to your website and will hold little to no SEO value, regardless of the backlinking site’s PR or authority. Relevancy is the new PR, so to speak. So, first think “traffic,” and go after any links – regardless of whether they are followed or no-follow links if they will bring you potential customers. Just don’t knock yourself out trying to get the no-follow ones, though. Odd, I’ve never heard that you should actively try to go out and solicit no-follow links. Generally, those are pretty easy to get via blog comments, forum posts, etc. Could you let me know where you heard that advice? Thank you Andrew for the article. I have a chance to buy a 15 years old PR4 website in a particular niche which is an affiliate store. The site is organized as a web store with categories, nice pictures and descriptions. When the customers press the buy button, they are redirected to the affiliation website. The site is not making money at the moment. I want to buy it and transform it in a dropship e-commerce store. Will this site lose its page rank and authority once it will be changed? Simply changing the site from an affiliate site to an eCommerce should shouldn’t have any effect on the PageRank of the store, no. Good luck! Excellent article. Probably the best I ever read on that topic. I also read your book Profitable eCommerce. Very good stuff! Hey Shannon! Don’t currently have a way to download my posts but will look into that in the future. Thanks for the recommendation. This is very useful information, Andrew. Thank you for researching and posting it. Hi, you provide a lot of good information, however, I think you should put a print option so we can print out this information. Nice work Andrew. One data point I’d add: SEO friendly URLs that match the title and h1 have proven to be beneficial in the e-commerce space. Very good information about SEO. Thank you for the insight. I know there is a lot of options out there in the form of SEO. I think it is very important to be educated and know about SEO. Did you ever consider paying someone to help with your SEO? In your opinion would you find it at all beneficial to pay for SEO services? Good article, thanks for the concise summary. I’m just curious if you saw a reverse in the downward graph once you fixed (I assume you did) your over-optimized keywords? Thank you so much Andrew. I have learnt so much from your emails and podcasts and I can’t wait to start kicking my online competitors butts with my new found SEO Ninja skills! Keep up the fantastic work Andrew. Such a great read Andrew! Thank you for the information. I just wonder if it’s all still accurate considering Google’s ever changing algorithms (since this was written 2 years ago)? Since we’re Brand Graphic and Logo Designers we’ve had so many clients over the years get that ‘glazed over look’ while we’re trying to explain what SEO is, never mind going into this much detail. Very clear and concise. Thanks from the team at Logo Vault. Great post, very useful info here! I do have a question I’m hoping you can advise me on. I have an e-commerce site http://www.wilddill.com, that I bought last year that has good backlinks and google traffic. Now I have the opportunity to buy a second site from one of my suppliers. From a Google links perspective is better to keep the second site as a stand-alone e-commerce site or would you roll it into the Wild Dill store with 301 redirects? I have about 60% of her products on my site so it would be pretty easy to use this second URL as a way to boost my current traffic and backlinks. The site has been around for about 5 years so it has some good Google history. What do you think? Is there more Google SEO value in 2 sites or would it be more worthwhile to focus on building 1 store? Great article. What is your take on buying old websites with high PR, 301 redirecting all the old content and building new content around your niche? I opened my store on Oct. 1st 2014 and have been reading & implementing every step. I am not only on the 1st page of Google (and Bing, Yahoo and…) but dominate the page… Over half the images are my products. The first 1-3 sites are mine’, and that’s before the 1-3 social sites. All for my target keywords, all on my own… One mother of four with a great idea and fire and your help. Thank you! This SEO tips work. Write for humans, LEARN how to craft for Google! Congratulations Kendra, that’s fantastic to hear! Glad the guide helped so much with your SEO efforts. Great article, thanks for sharing the info, was wandering if you can recommend me an online course to understand better SEO, I googled it and found tons of stuff but don’t really know where to go and who should follow. In the last chapter you mention, or recommend, not to purchase a domain that had been registered for ages. But how about a competitor is going out of buisness, offering you his/her domain (ranking higher than most other competitors)? How do you go about that? Rerouting to your business page or shell out that content by replacing it with another, similar to your current company? You probably already have the answer, but here goes. Before you buy the domain, check out the domain’s backlink history. Just because it ranks higher now does not mean it will forever. If the links pointing to the site consist of spammy or un-trustworthy sites, its better to stay away. But if their links are from high authority and trusted sites then you should definitely buy the domain name. This is great info a great summary to the giant world of SEO. Can I ask what is the best way to get backlinks? I know writing good quality content is crucial, but I wonder if you can recommend specific techniques to get backlinks from high DA domains? Hello, I have had my xcart ecommerce site for 11 years and since 2013 it has been going down every year in a similar trajectory. You would cringe if you saw the traffic graph drop. Ive dumped $7000 and hundreds of hours trying to fix but nothing is changing in traffic. Ive hired about 5 seo people each finding problems and fixing most of those issues yet traffic continued to fall, any suggestions? thanks! Thanks Andrew! Well written and informative. I’m newnewnew to web site ownership and have been reading as much as I can. Your article stands out for its clear exposition. So often I finish a tech article shaking and scratching my head (at the same time!) – not so with this. Bravo!